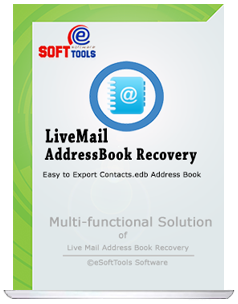 All Windows live mail clients can use this wonderful eSoftTools live mail contacts Export to PST Software that is designed to recover the entire information from live mail contacts.edb file and Export live mail contacts to PST outlook file with maintains all data integrity. This is windows program supported each version included win10 to export live mail to PST file with previous contacts.edb file data. You can export selective folders from contacts.edb file to existing outlook profile or new PST file. Displays preview of each items conversion from contacts.edb file to PST file. 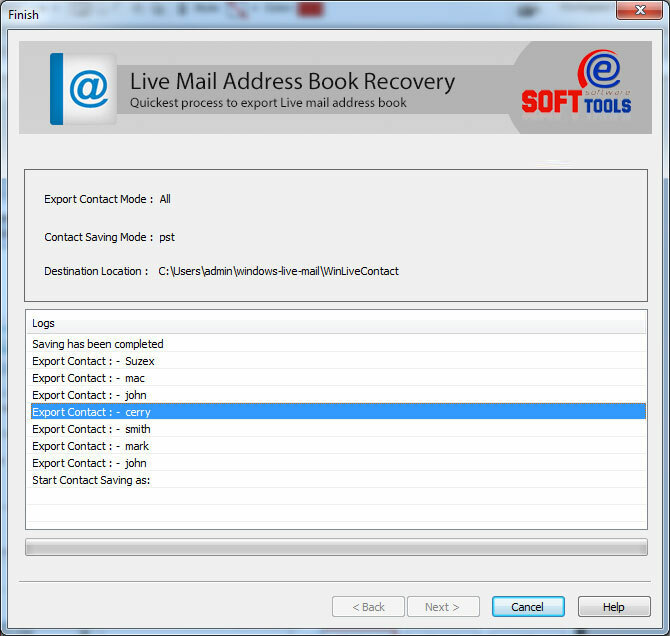 Know Which Download Button is Appropriate for you..
Read all the beneficial features of the live mail contacts export to PST Software and self- analyse how software works to recover contacts.edb file and export live mail contacts to PST file along with complete contacts details or emails address. 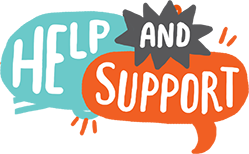 All the software conversion is free and safe, users can use windows live contacts to outlook tool to export contacts.edb file to multiple formats. Software is good in conversion, users can browse their contacts.edb file and exports its complete contacts into PST Outlook file. Self-confidently convert either selective items or complete items of contacts.edb file to PST file. Instantly choose auto detects feature of windows live contacts to outlook converter software if the software installed on PC. You can choose radio button for “Auto Detect the Storage Location” after that software will automatically detects location. 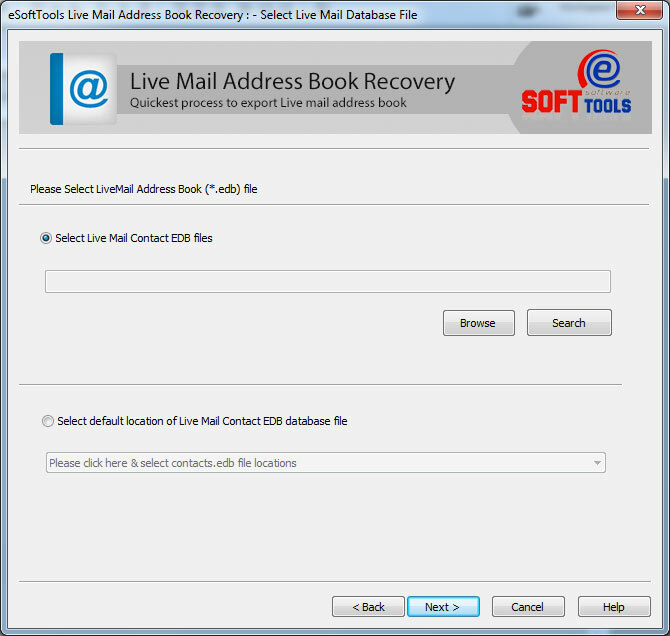 Windows live contacts to outlook converter software successfully supports to convert emails or contacts from windows live mail to outlook file. It also Migrate all data of contacts.edb file to Outlook 2016, 2013, 2010, 2007, 2003, 2002 (XP), 2000 and 97. There are one great feature available, either users can save their live mail contacts.edb file into exiting outlook profile or can create new PST file. Windows live contacts to outlook tool offers to create single and separate PST file for export contacts.edb file. 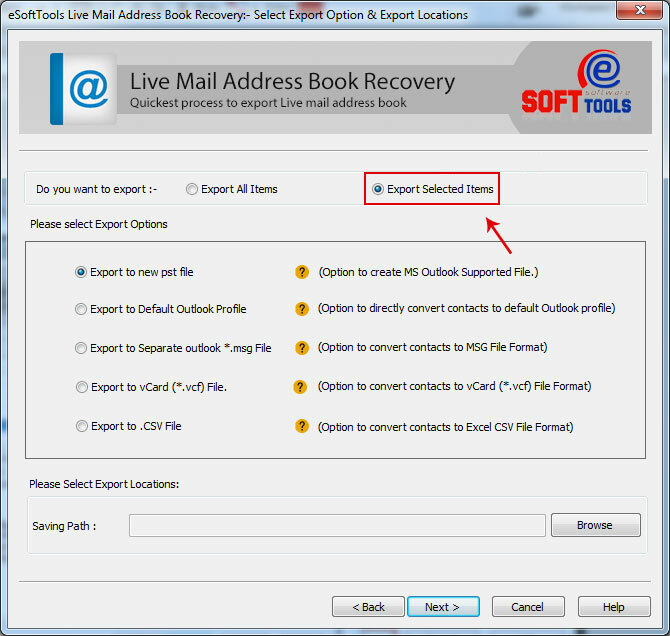 Software not only export live mail to PST file but also capable to export contacts.edb file to MSG, HTML, CSV, vCard, existing outlook profile and vCard format. So, choose any format in which you want to restore contacts.edb file. 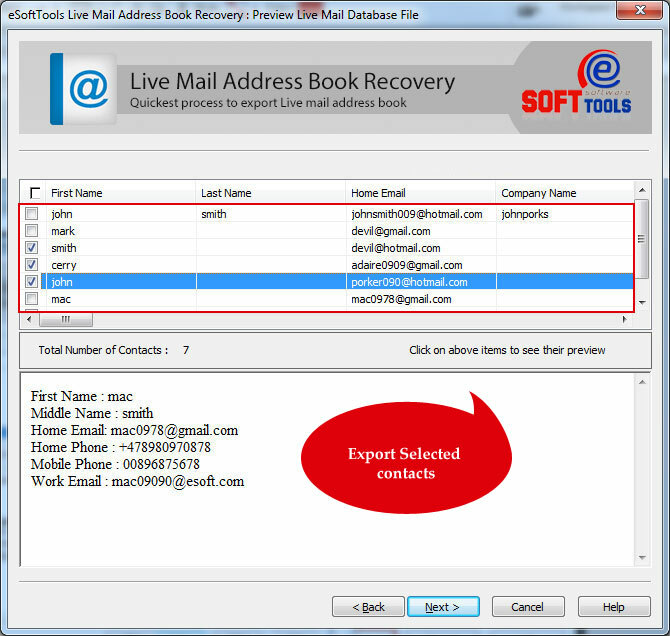 Windows live contacts to outlook converter software allows users select selective items from contacts.edb file and convert them into PST outlook file. Software performs to convert selective single or multiple emails of contacts.edb file. Can I create single and separate PST file of my contacts.edb file? Yes, you can create single and separate PST file for saving contacts.edb file with complete information. I am confused in the location of contacts.edb file but need to convert is data into outlook file? Don’t worry about the location because the software automatically detects contacts.edb file and convert data into PST. I need to convert only selective items of contacts.edb file to EML or MSG can I convert? Yes, the software gives the facility to convert selective items from contacts.edb file into EML or MSG. Do I need to install outlook on my machine to convert contacts.edb file to PST? Yes, for conversion contacts.edb file to PST you must install outlook on your machine along with active profile. Could this window live mail contacts to PST Software works on 64-bit version? 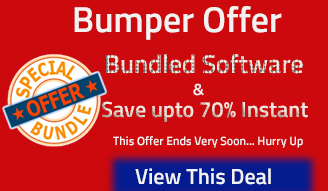 Yes, this software supports all windows 32 bit or 64 bit for conversion. MS Outlook should be installed. MS Excel should be installed for conversion in CSV file. I wanted to convert contacts.edb file to PST then I used your software which helped me in conversion I liked its selective conversion option that saved my time and provided me safe tool for conversion thanks a lot………….